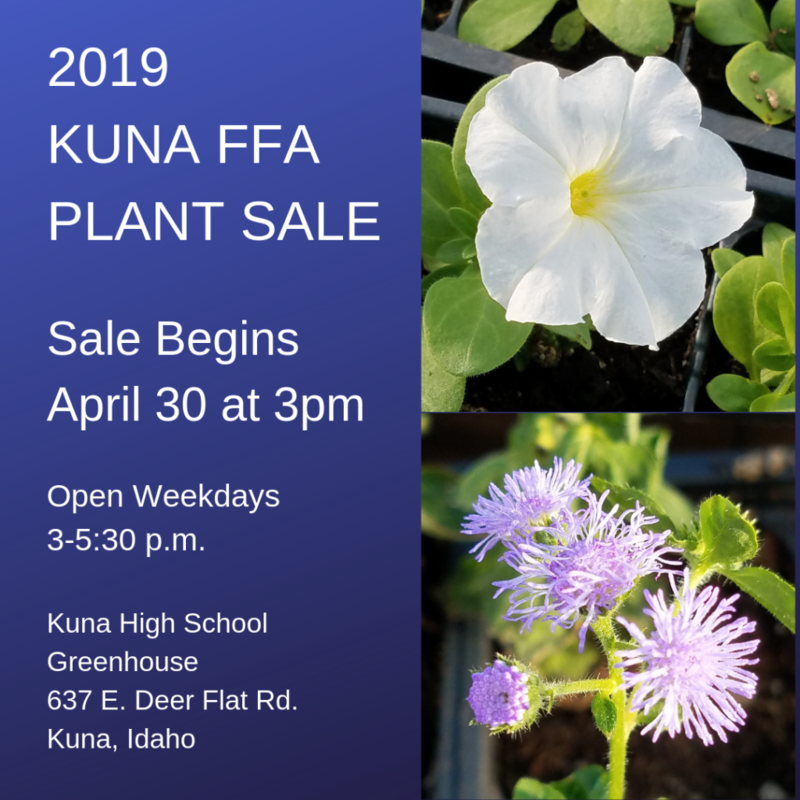 Posted on Apr 24, 2019 | Comments Off on PLANT SALE! CHAPTER SCRAPBOOK AVAILABLE FOR ONLY $15! Posted on Apr 15, 2019 | Comments Off on CHAPTER SCRAPBOOK AVAILABLE FOR ONLY $15! Copies of the 2018-19 chapter scrapbook can be purchased for $15. Click here to order yours! The conference schedule for Kuna FFA members is now available on the website. Click here for information about State Leadership Conference. Enter the student Arbor Day photo contest sponsored by the Idaho Forest Products Commission. Click here to visit the site for more information. Kuna FFA members, the application is now available for FFA State Leadership Conference. Visit http://kunaffa.org/state-leadership-conference/ or get a hard copy from the advisors. SLC applications are due March 12, 2019.